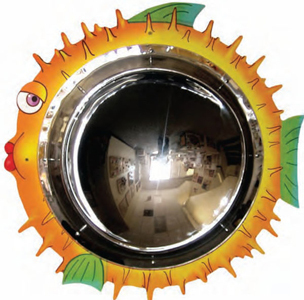 As one moves closer to the center of this large convex mirror, the image flips upside down and then rights side up! You can even try shaking your own hand! Physics becomes a fun and fascinating experience for kids of all ages.